After nearly 50 years and more than $2 billion in donations, the Muscular Dystrophy Association is ending its annual Labor Day Telethon. According to the New York Post, the nonprofit will be diverting most of its efforts into online fundraising rather than continuing the tradition made famous by Jerry Lewis, who first hosted the Labor Day event in 1966. 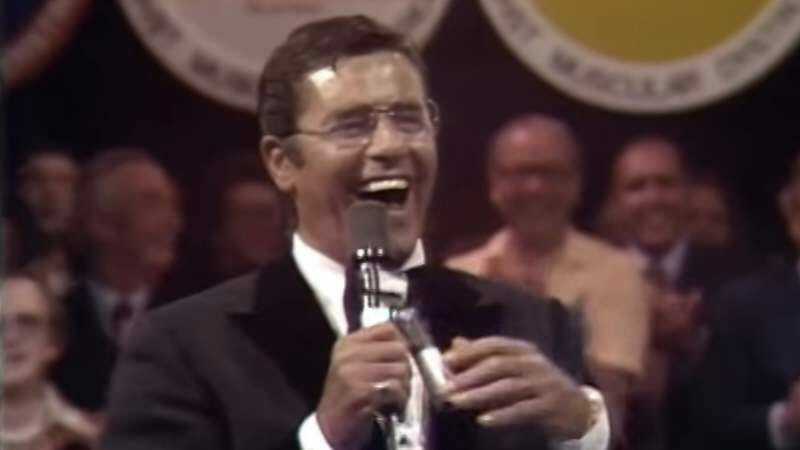 Lewis actually hosted the first MDA telethon in 1956 with his then-partner Dean Martin, but the entertainer inaugurated a yearly tradition ten years later with his very first Labor Day telethon, which began on a single television station in the New York region. Gradually, it spread to become a much-ballyhooed annual network TV event, drawing on a deep well of popular musicians, actors, and performers to raise money for the disease. Despite the occasional controversy—the show was picketed in the early ’90s by disabled people claiming that Lewis had turned them into objects of pity in order to raise funds—it carried on throughout the years. Lewis’s last time hosting the event was actually back in 2011, when it was assumed ailing health forced him to withdraw from the event. However, the MDA had already begun shortening the length of the telethon, down to only six hours from its long-established 21-hour duration. Steve Ford, the MDA executive vice president, said the organization hopes to raise money via online stunts, citing the “Ice Bucket Challenge” from last year. Ford is apparently not planning on instituting the controversial “Lewis Challenge,” in which Jerry Lewis is flung at the heads of everyone who doesn’t donate money for muscular dystrophy research.